Our United Kingdom head office is located in Yorkshire with a nationwide network of stairlift surveyors and engineers. 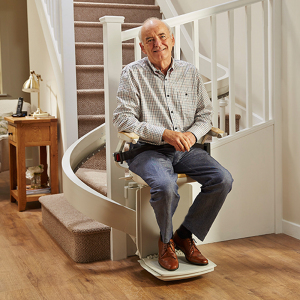 We specialise in making Straight stairlifts and Curved Stairlifts – it’s all we do! That’s how we make them so stylish, easy to use and affordable. We build all our stairlifts in our United Kingdom factories and export them to locations all over the world. 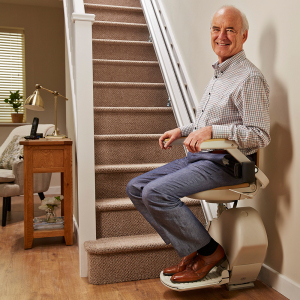 Somewhere in the world, one of our stairlifts is installed every 8 minutes. fastest way in the world to have a stairlift installed. Our stairlifts are installed and helping people around the world every 8 minutes. 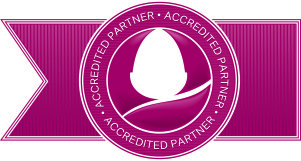 Discover the difference Acorn stairlifts can make to your life.